Mt. Carmel, IL – Once again Wabash Valley College students have played an important role in the success of the Wabash Valley College Foundation Dinner Dance which is held each year as a major fundraiser for the Wabash Valley College Foundation. Theresa Coleman, Felicia Dilley, Dorian Moutry, Autumn (AJ) Schnicker, Sarah Luescher, Naoki Fujita, Seung Hyun Lee, Vy Nguyen, Han Nguyen, Khanh Tran, Kylie Applebey, Jonas Trimble, Katie Embry, Margi Freeland, Josiah Irwin, Courtney Seed, Taylor Waggoner, Jayla Schwarzlose, Sam Stoltz, Abigail Anderson. The WVC Foundation owes the continued success of the Dinner Dance to the members of the community, as well as surrounding communities, who continue to support and enjoy their “Big Night” to raise funds to support Wabash Valley College. WVC students did an outstanding job as servers of the elegant dinner prepared by Rick Marshall and Hogg Heaven at the 34th Annual Dinner Dance hosted by the WVC Foundation. 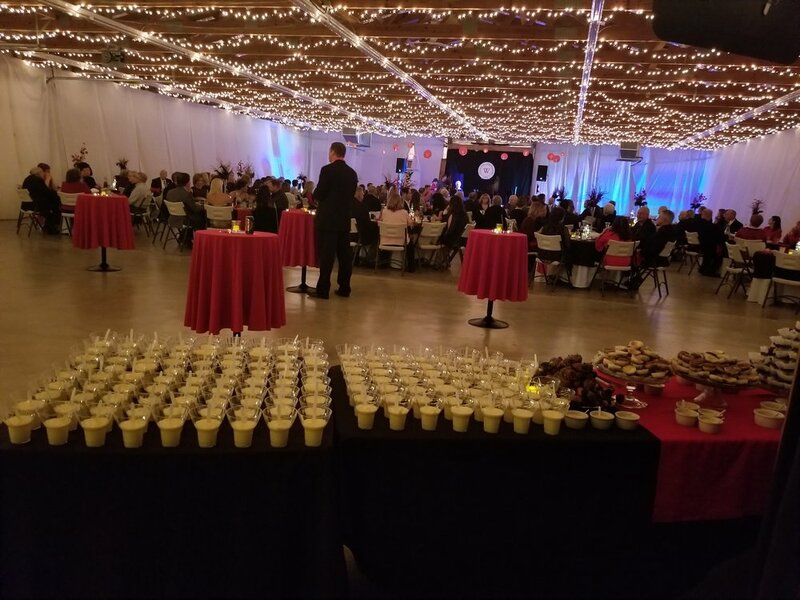 One of the highlights at the WVC Foundation Dinner Dance was the beautiful dessert table filled with delectable desserts prepared by Anna Bunting of the Red Café. Beautiful decorations, an elegant dinner, delectable desserts, enjoyable music by the Scott Mason Band for dining and dancing, provided the key ingredients for a most successful Dinner Dance hosted by the WVC Foundation.